I know first-hand that this recipe from my sister-in-law Teri Johnson is awesome. 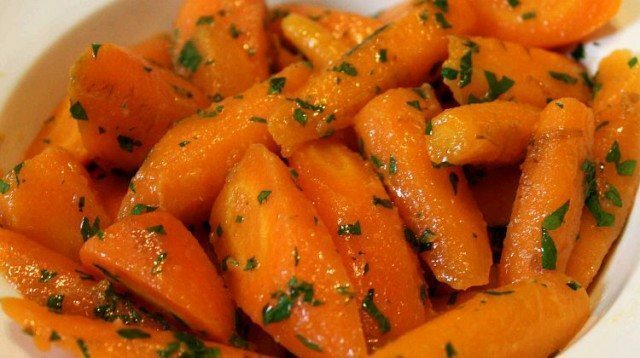 I love carrots anyway, and this kicks them up a notch with the addition of garlic and parsley. This recipe comes from the Ogdensburg Community Cookbook circa 1982 (according to my mom’s note in the book). Mix all ingredients except carrots and parsley in a 1-quart casserole. Stir in carrots. Cover tightly and microwave on high 4 minutes. Stir, then cover and microwave until carrots are tender, 4 to 6 minutes longer. Toss with parsley.